BEAUTIFULLY CRAFTED, HIGHLY PURE GOLD-- As you can tell, this bullion is anything but boring! The artisans at the Perth Mint take extraordinary care in transforming quarter-ounce planchets of 99.99% pure gold into works of lustrous art. 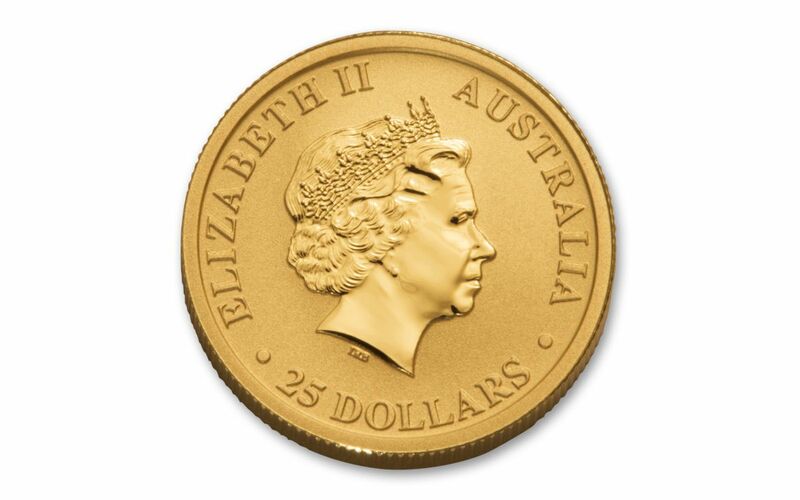 AUSTRALIA LEGAL TENDER-- Each 2018 1/4-oz Gold Kangaroo is 25 dollars Australia legal tender, a fact exhibited on each coin's obverse along with Ian Rank-Broadley's profile of Her Majesty Queen Elizabeth II. 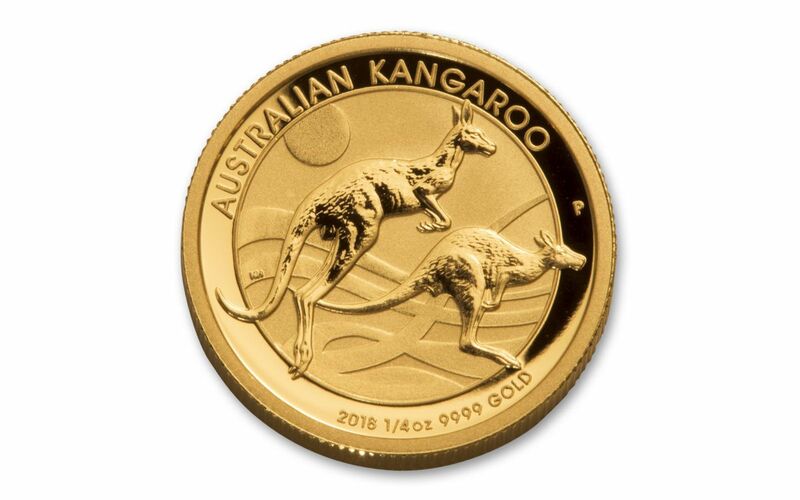 BRILLIANT UNCIRCULATED CONDITION-- Your 2018 Gold Kangaroo will arrive to you in Brilliant Uncirculated (BU) condition, exactly as it left the Perth Mint, in a protective acrylic capsule. 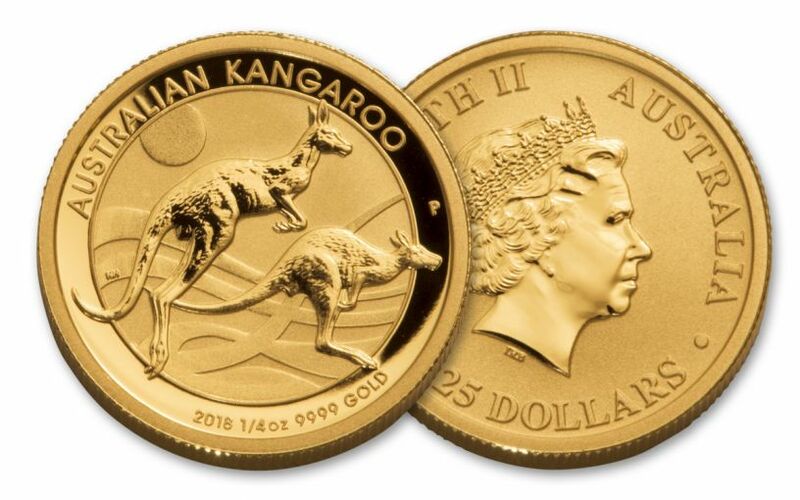 A LIMITED-MINTAGE RELEASE -- Only 150,000 of these 2018 1/4-oz Gold Kangaroos will be produced by the Perth Mint!